A few weeks back Chicago teenager celebrated her birthday. Mr Chicago was away on business that day and sent her a beautiful bouquet of flowers with which she was thrilled. Now I didn’t have it together enough to photograph them but they sat in the kitchen until they had seen better days and really needed to be thrown away. But Chicago teenager was having none of this, she didn’t want to trash them. 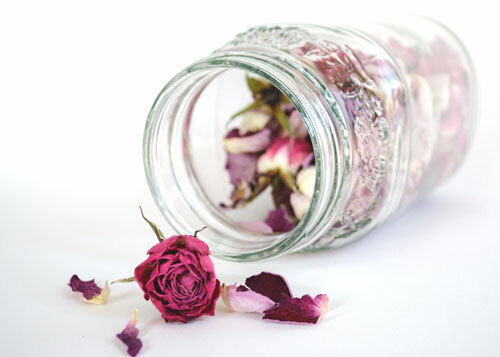 So instead we picked out all of the roses and put the petals and little buds in a jar. She will be able to enjoy those birthday flowers forever! This entry was posted in Art, Celebrate in Style, Decorative Accents, Home Decor, Photography, Teenager, Trash to Treasure, Valentines Day. Bookmark the permalink. Adorable! Do you leave the jar open or do you close it? 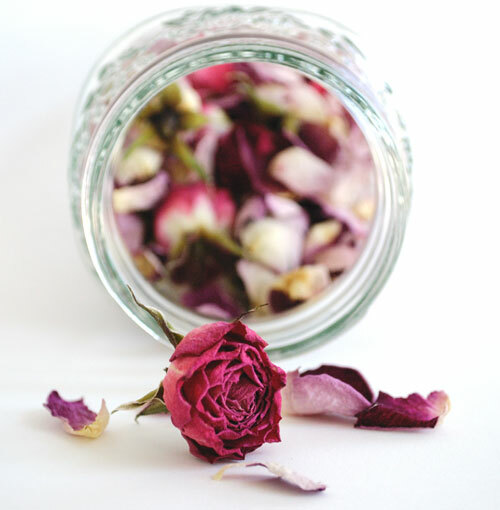 really beautiful flowers and gorgeous photography…the second is so my fav! LOVE IT…I have a rose bush that blooms excessively but (not sure how to explain this really, except to say the roses, which are a gorgeous bright fuschia seem to all open much too "wide") for the traditional bouquet of roses [look]…however the petals are wonderful, and there are so, so many of them…I currently have ziploc bags filled with them in my refrigerator that I plan to make rose water, etc. They smell divine! or, you could press them in between heavy books and them frame them:) that's what I did with my birthday flowers. This is really simple and elegant way to go .. 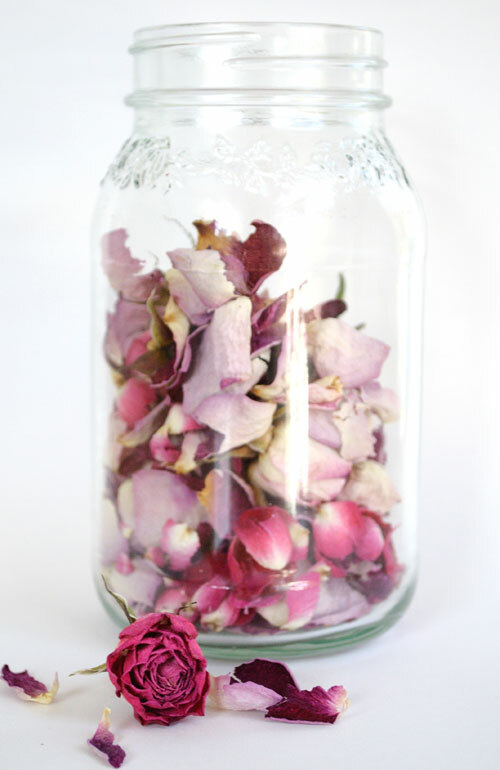 I fill a vase with rose flowers every weekend and do not know what to do with the withered one.Now I have idea ! 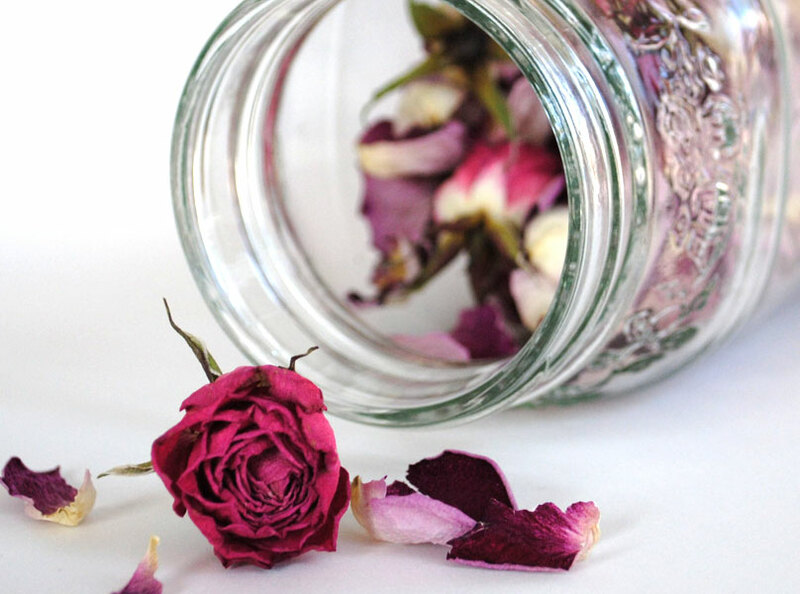 Mason jar + roses!